Final version of Android Nougat is released on August 22 and here is a manual flashing guide for the Nexus 5x. This is not an incremental update and contains the complete Android Nougat Official Final Released version (August 22) for the Nexus 5x. If you don’t want to flash the image manually then you can join Android’s BETA program to get the android Nougat OTA releases on your phone almost instantly. Manually installing factory images on a Nexus device requires the bootloader to be unlocked on the Nexus phone, which may VOID your warranty and may delete all your data. Before proceeding further you may consider backup all data on the phone. You are the only person doing changes to your phone and I cannot be held responsible for the mistakes done by you. This flashing guide may delete all your data on your phone. IGNORE IF YOU DON’T WANT TO OR IF YOU HAVE ALREADY DONE THIS. You may consider complete backup of your phone data or take a NANDROID backup of the current ROM. 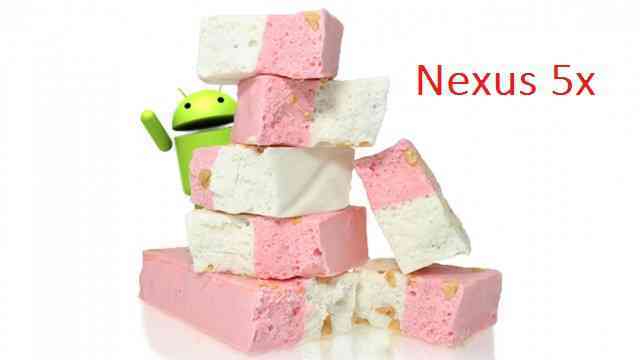 Download the Android Nougat Factory image for the Nexus 5x from the above downloads section. This may delete all your data on your phone. IGNORE IF YOU DON’T WANT TO OR IF YOU HAVE ALREADY DONE THIS. You may consider complete backup of your phone data or take a NANDROID backup of the current ROM. After rebooting, do the initial setup and enjoy the latest Android Nougat on Nexus 5x. If you face any problems then login and comment here to get an instant reply. Stay tuned or Subscribe to the Nexus 5x forum For upcoming Android Nougat ROMs, CyanogenMod Custom ROMs, other ROMs and all other device specific topics.